A small but competent knife from Casström, design by renowned English custom knife maker Alan Wood known for his hand made Bushcraft and Deer Stalking knives. 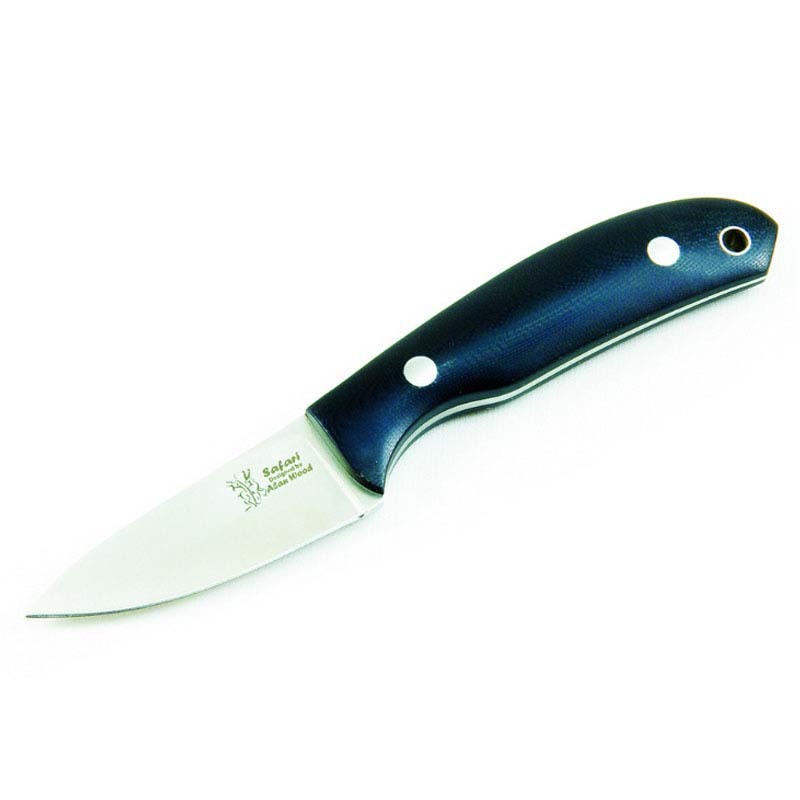 A compact hunting knife featuring a 6cm stainless steel blade with a hollow grind. The blade is made using a full‐tang construction, features a tapered tang and is made in 12c27 Swedish Stainless steel (HRC 59). The handle tapered tang and shape of the handle makes the knife very nicely balanced and comfortable.The black G10 glass fibre laminate handle is tough, waterproof and maintenance free. 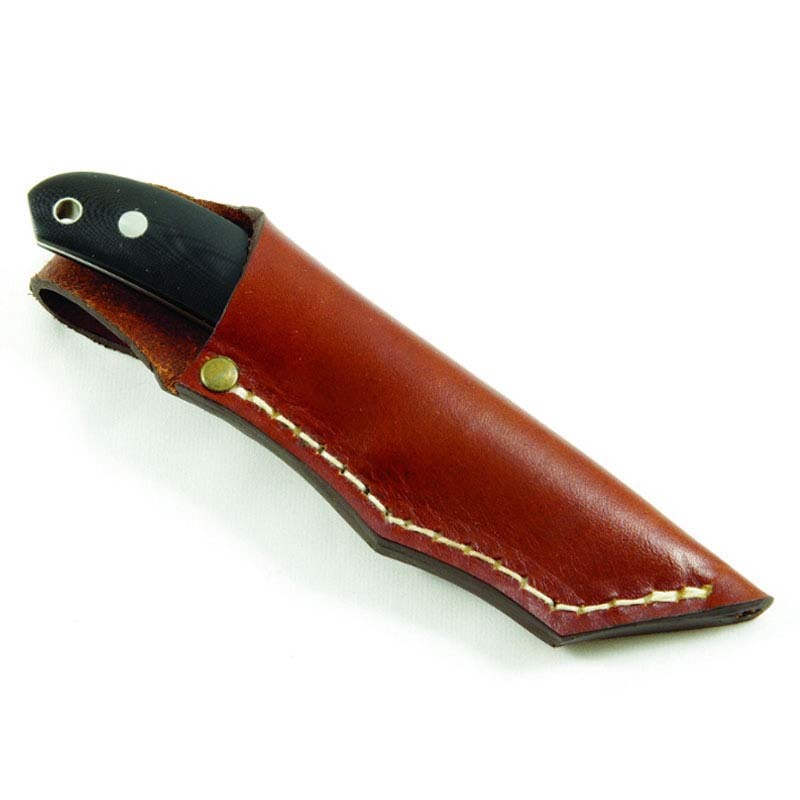 Comes with a sturdy leather sheath. The design in combination with the materials used makes this a very beautiful but highly resilient piece of kit. Ideal as a small skinner for small deer and as a small belt knife for safari hunters. Sandvik 12C27 is a very popular stainless steel for Scandinavian knives due to its good combination of good edge performance (stability and ability to take an edge), high hardness and good corrosion resistance. Blade re-sharpening is easy and edge stability in terms of microchipping and edge folding or rolling is also good.